Situated in the beautiful Papenoo Valley, La Maroto offers accommodation with balcony views of the mountains, river and beautiful gardens. There is a bar and restaurant on site. Le Relais de la Maroto is located 16 km up the largest valley of Tahiti. 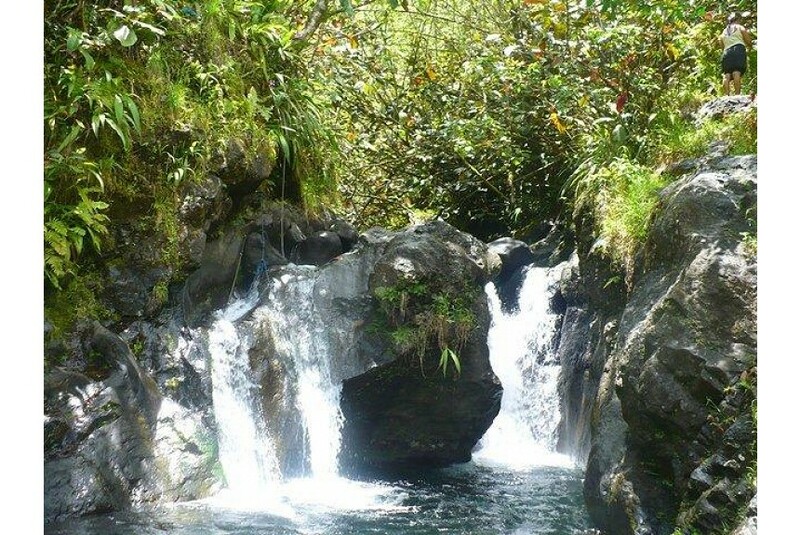 It is surrounded by hiking trails and provides access to archaeological sites and waterfalls. All accommodation features a balcony or patio offering stunning views. Each room and suite includes a private bathroom, some have a spa bath. The hotel’s restaurant serves a variety of European cuisine and is open for breakfast, lunch and dinner. A wide selection of drinks is available at the bar. There is also a large wine cellar. La Maroto can be reached by either a 1.5 hour 4WD (four-wheel drive) journey or a 15-minute helicopter flight. There are 4WD vehicles available for hire at Papeete International Airport.